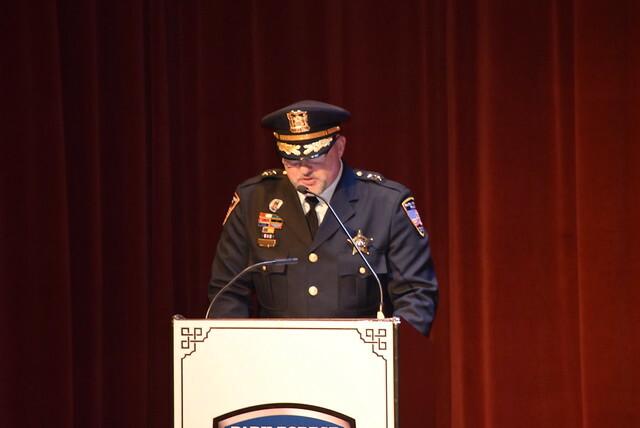 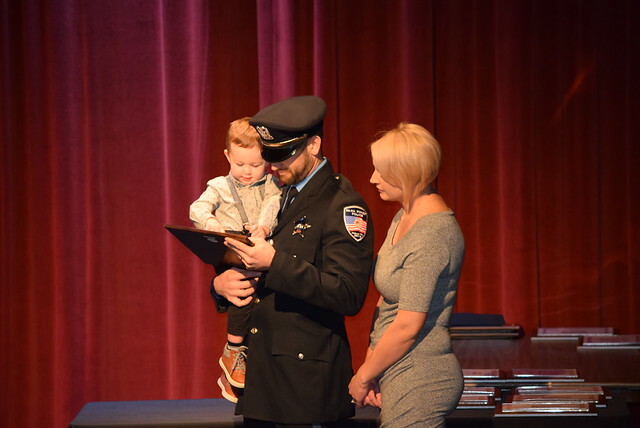 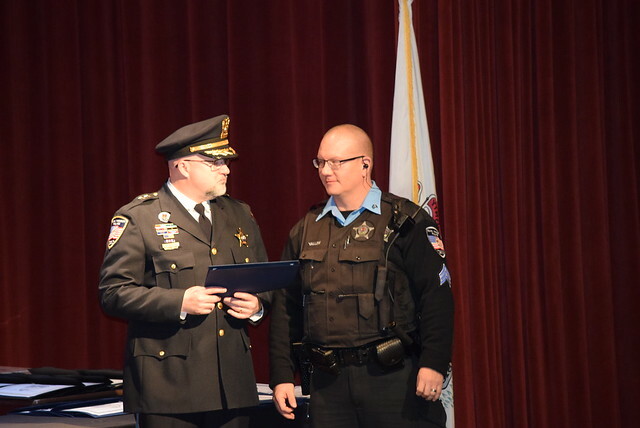 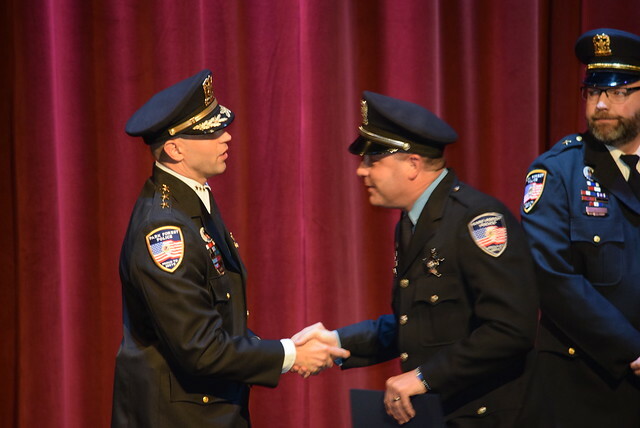 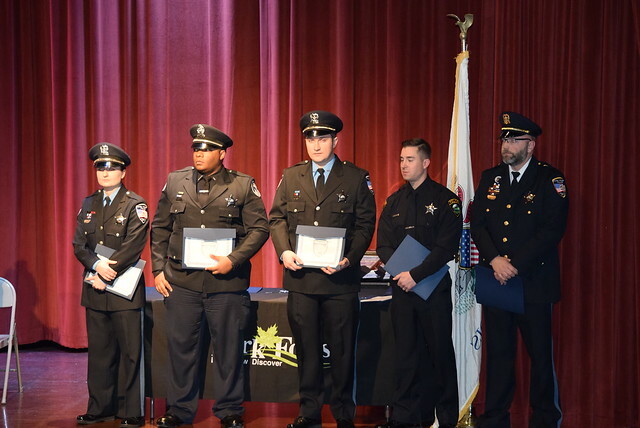 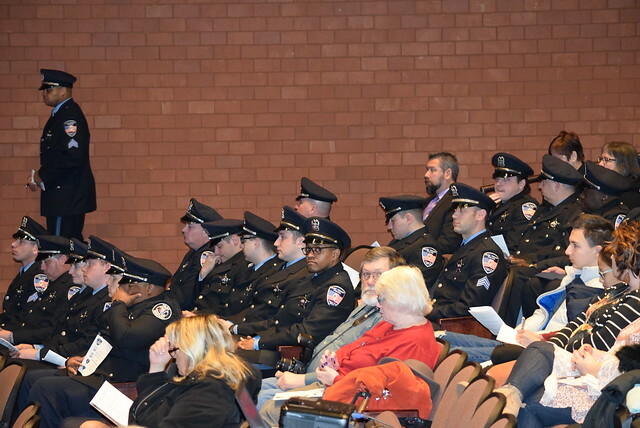 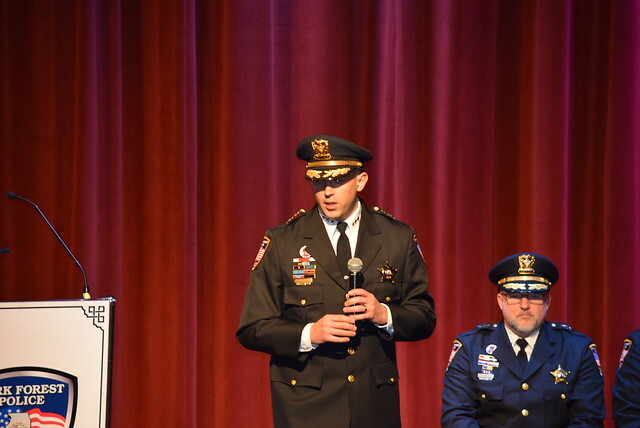 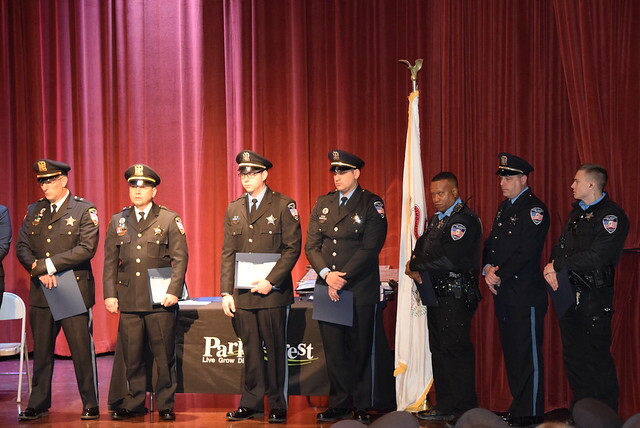 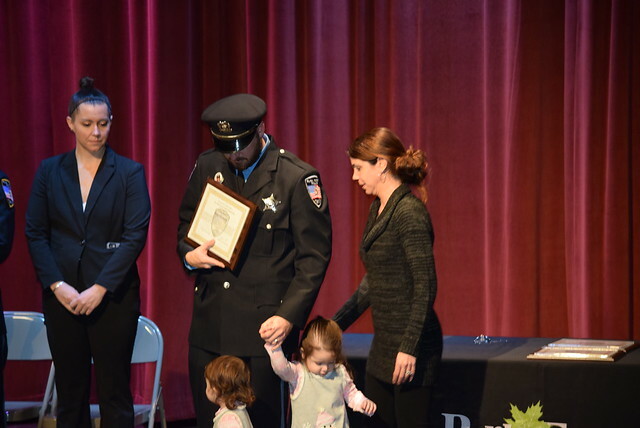 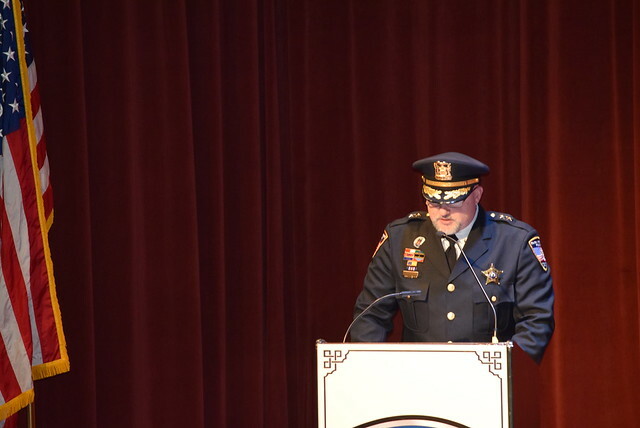 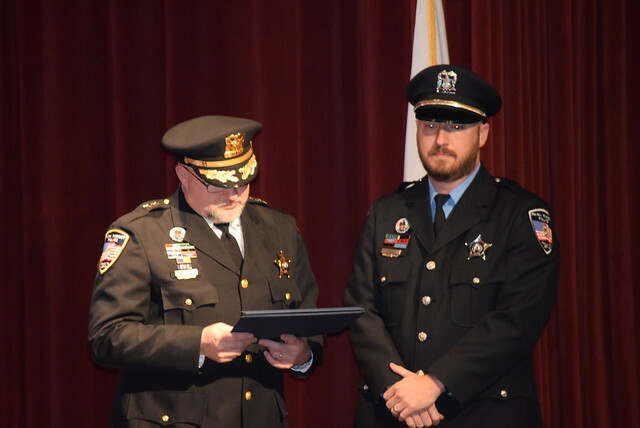 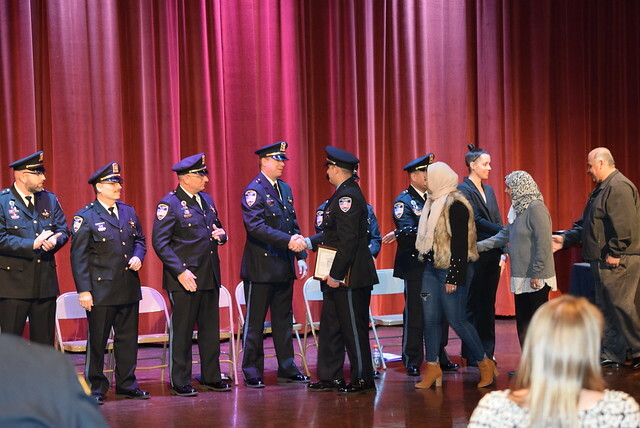 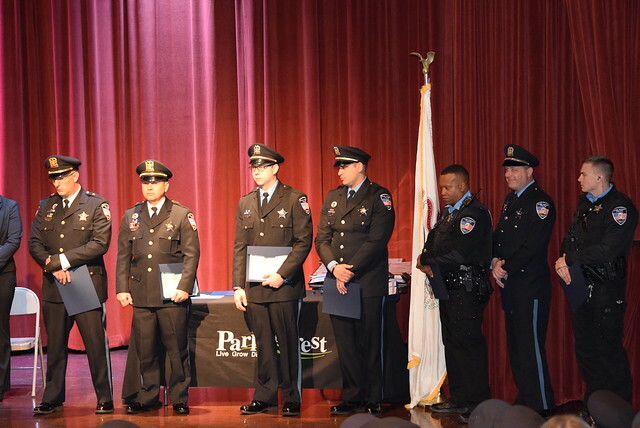 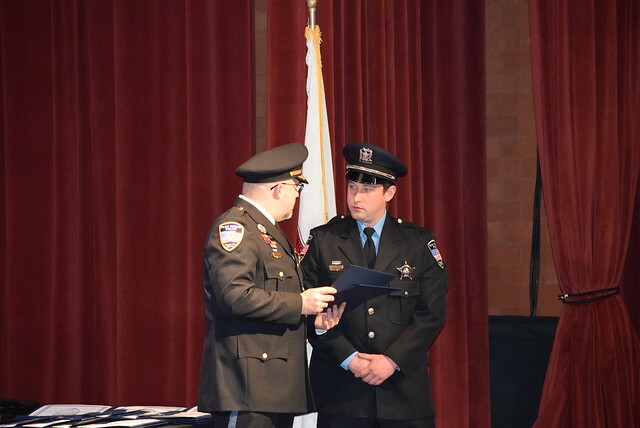 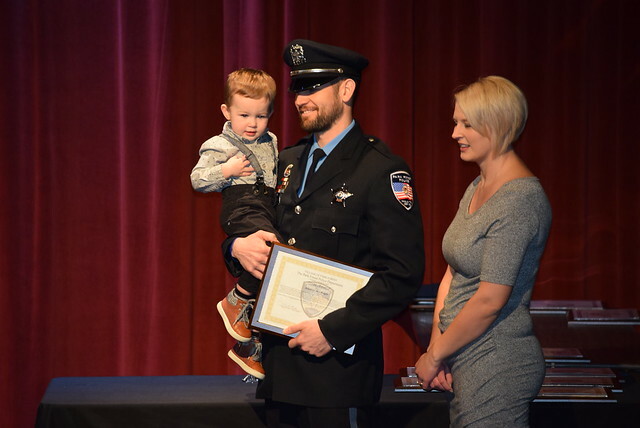 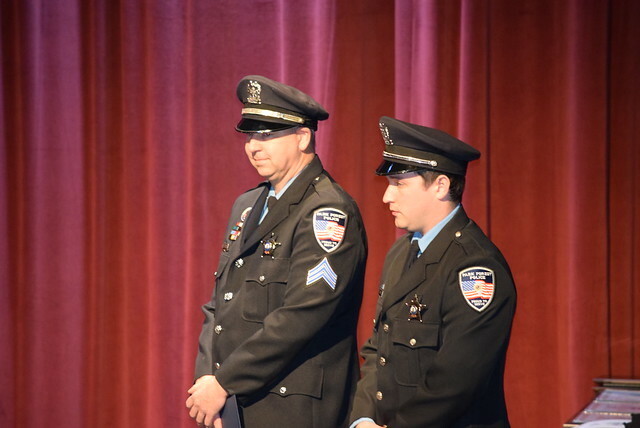 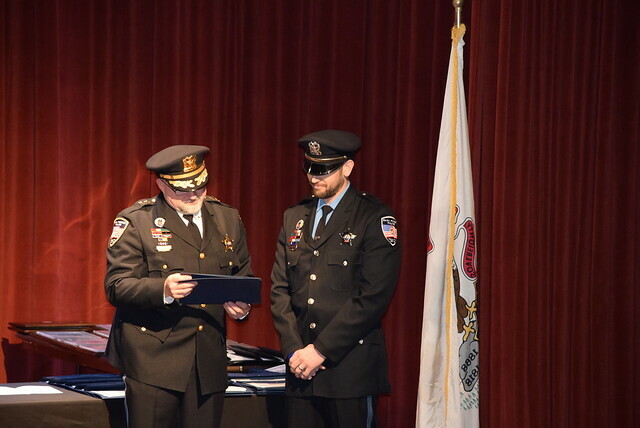 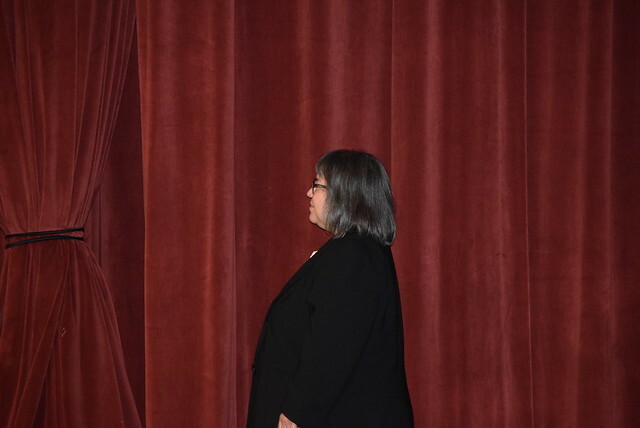 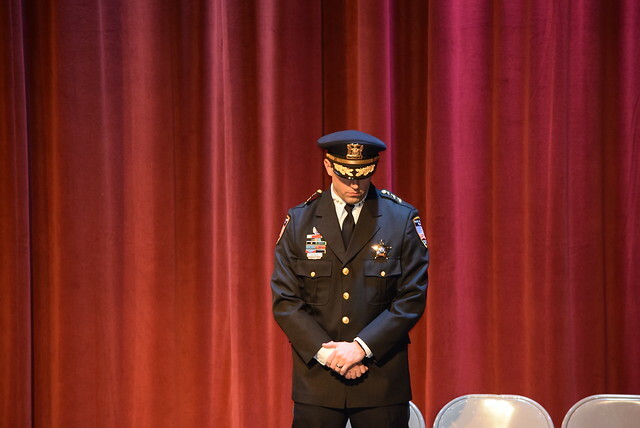 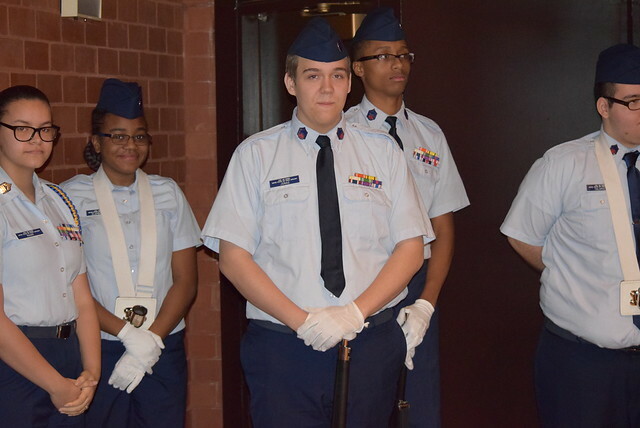 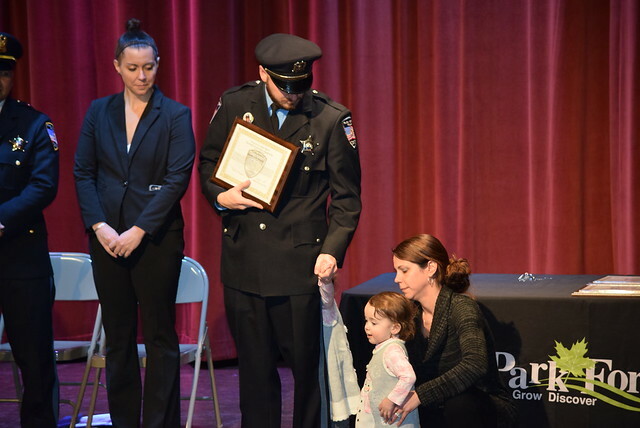 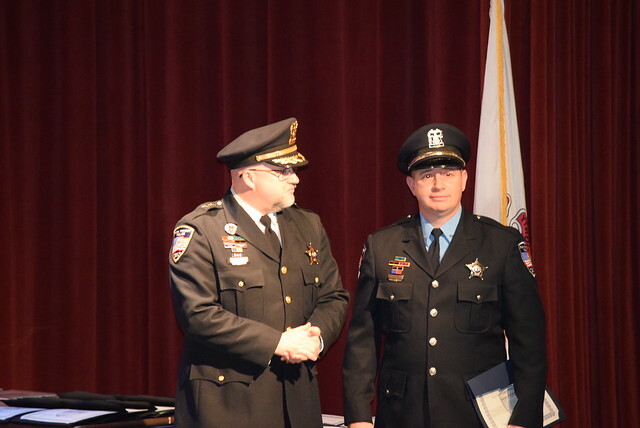 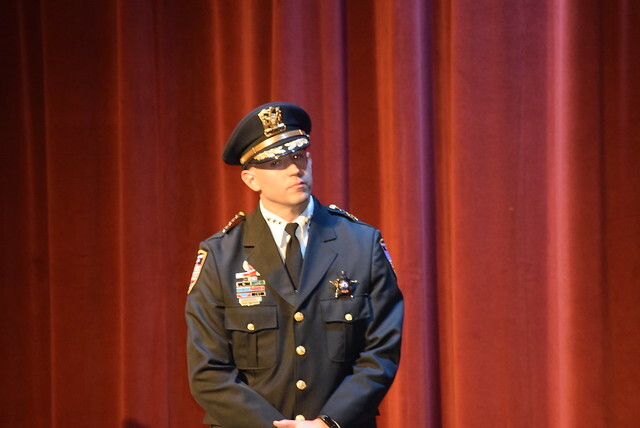 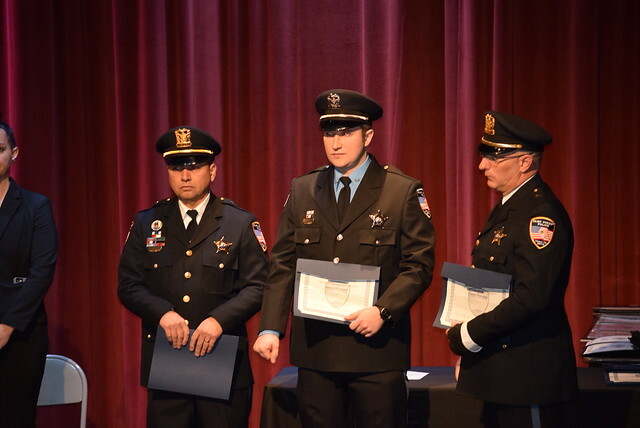 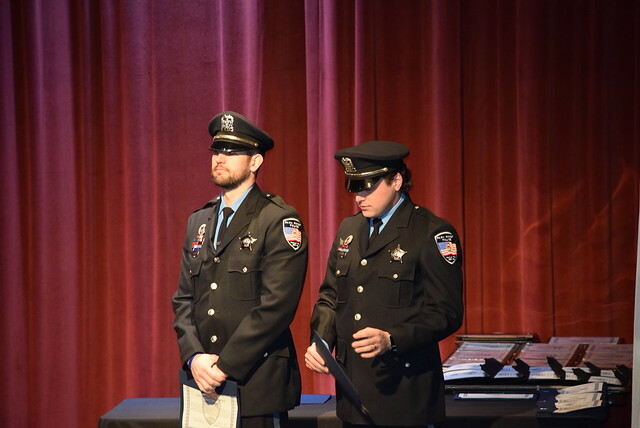 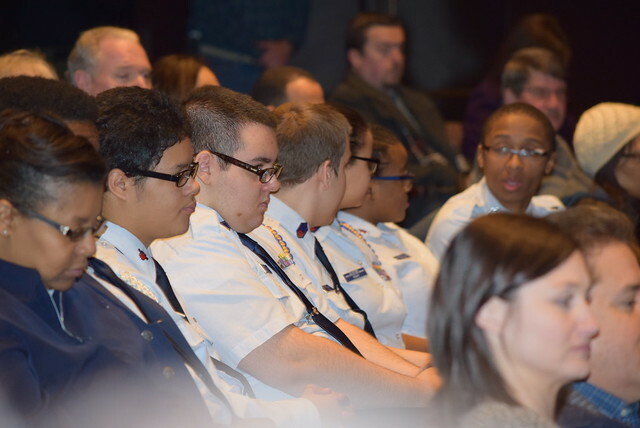 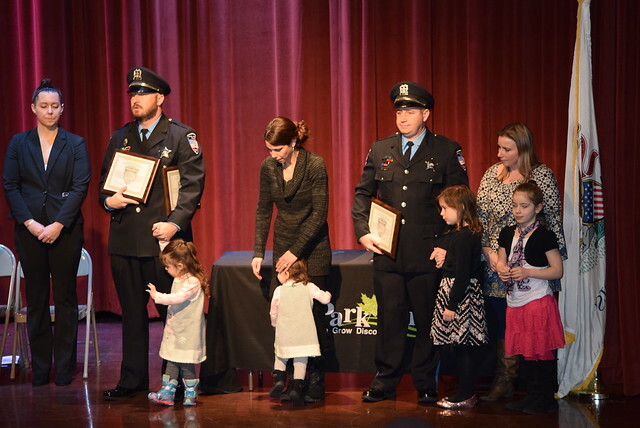 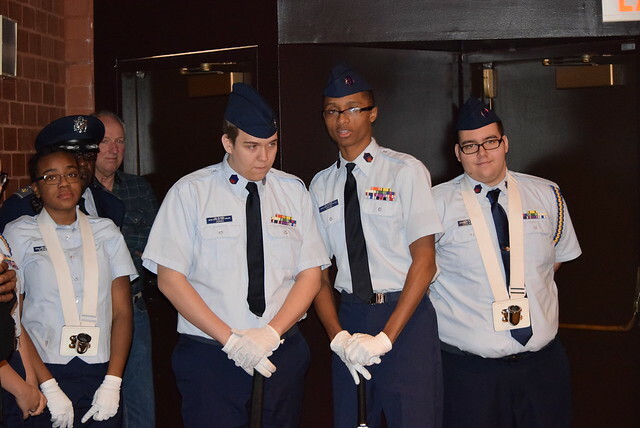 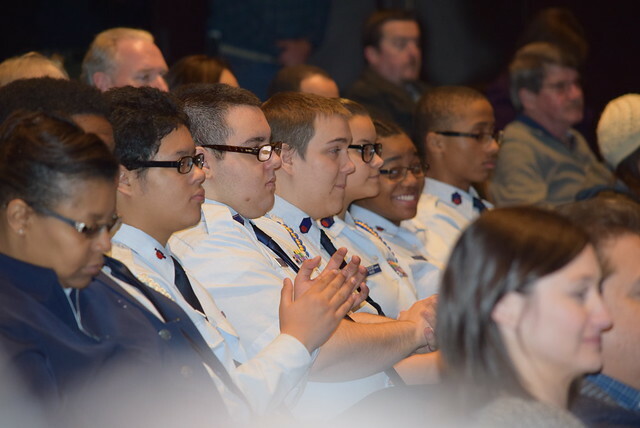 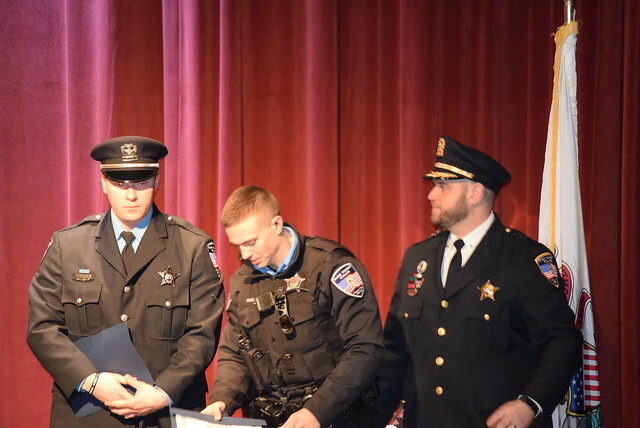 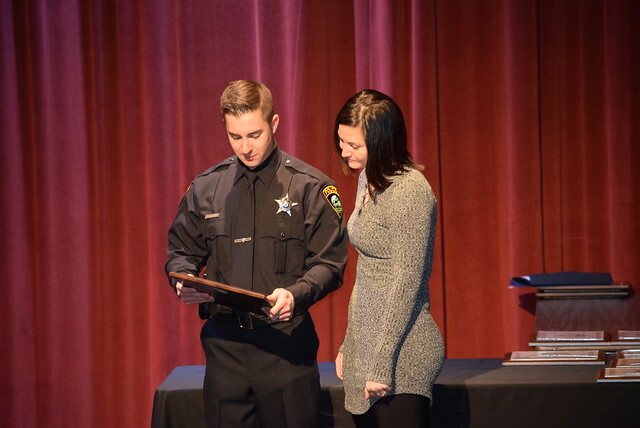 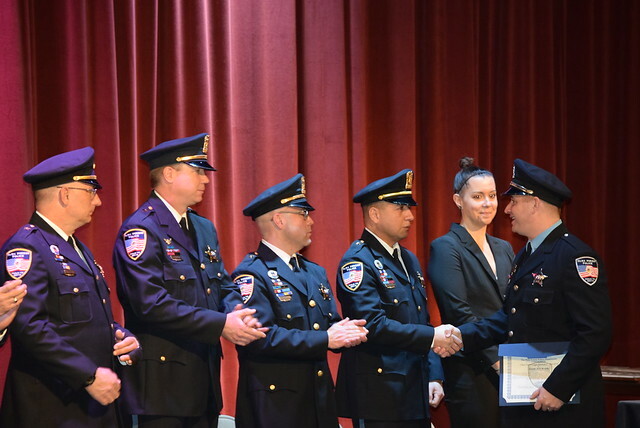 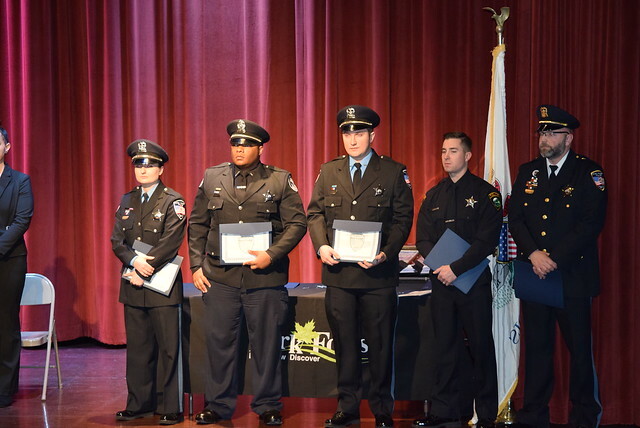 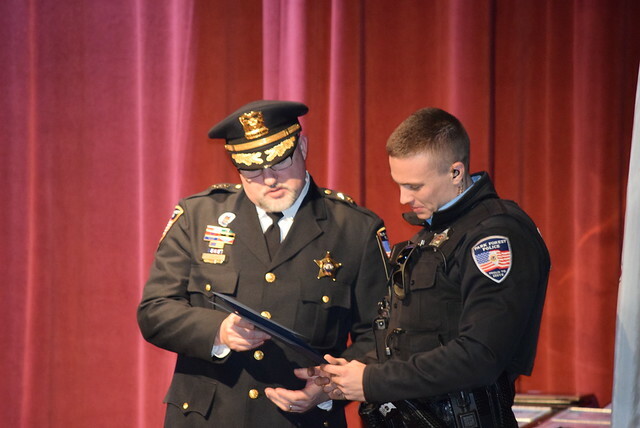 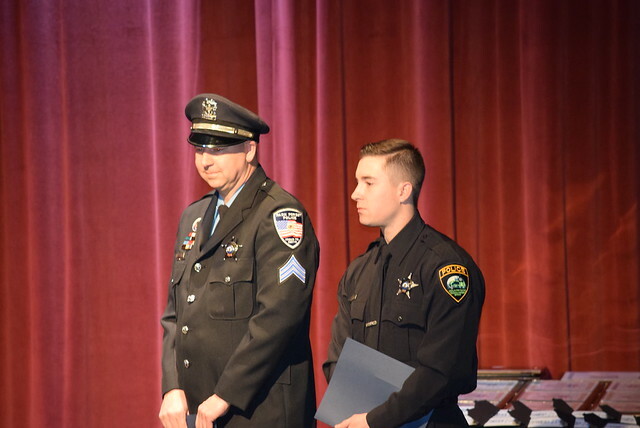 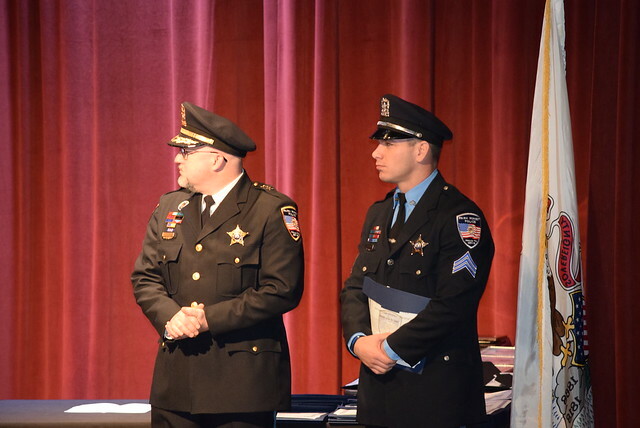 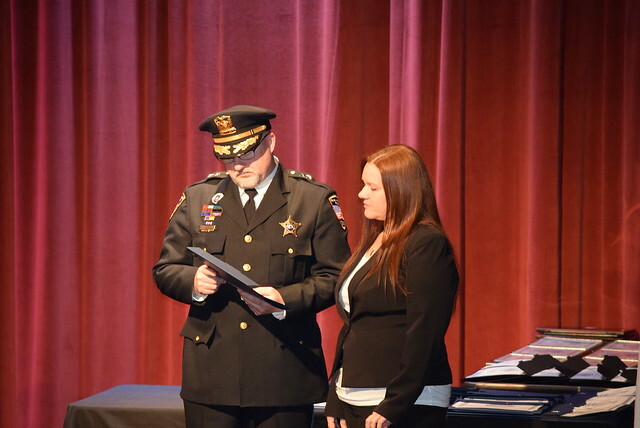 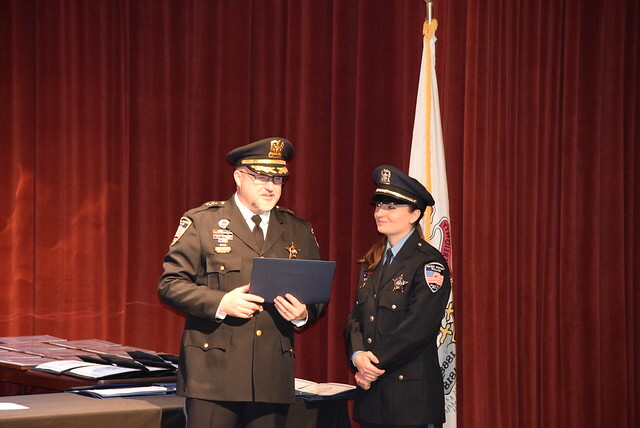 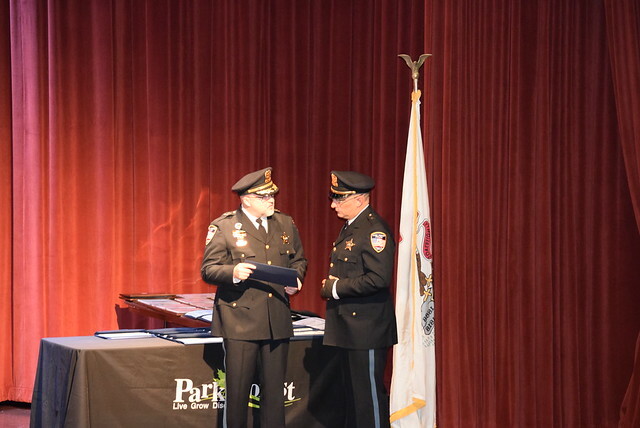 Park Forest, IL-(ENEWSPF)- In an awe-inspiring review of the year 2017 on Saturday, Police Chief Christopher Mannino presided at the 14th Annual Park Forest Police Honors Ceremony. 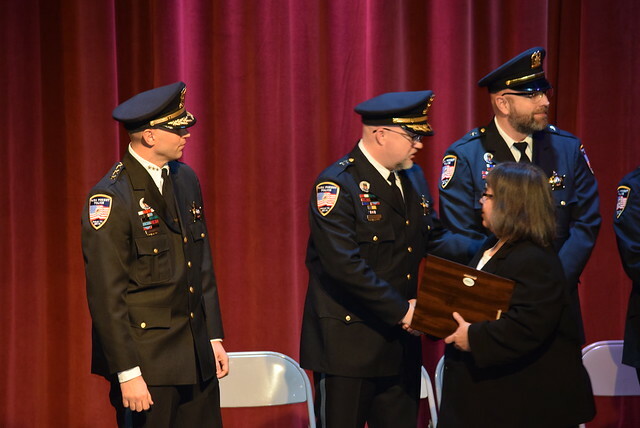 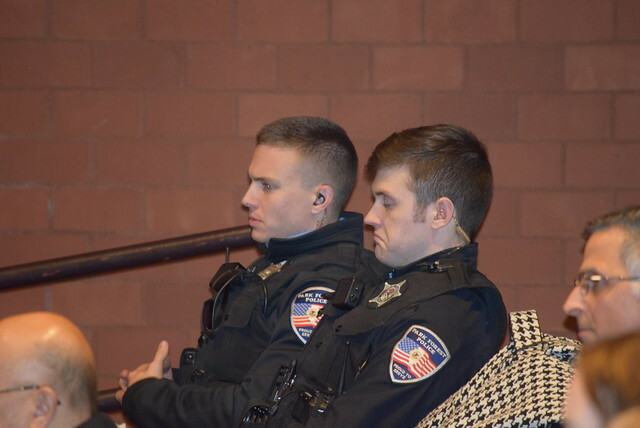 Freedom Hall was near capacity with officers, family members, Village staff, two retired chiefs, and citizens for the awards and recognitions. 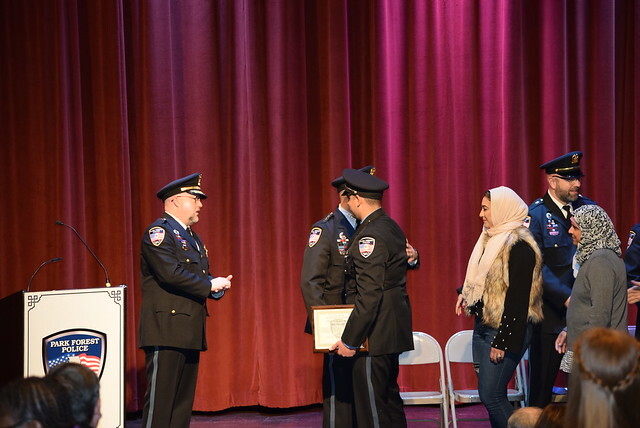 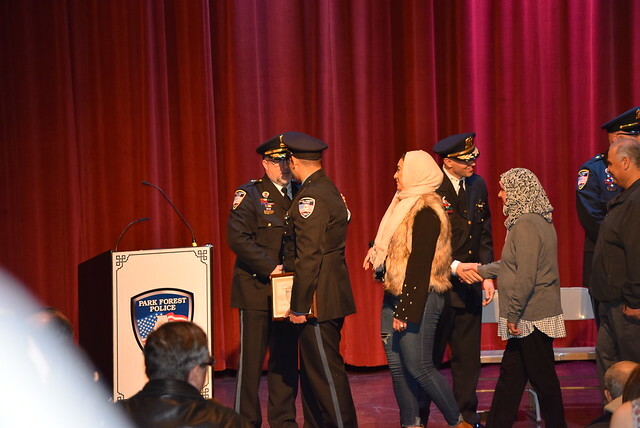 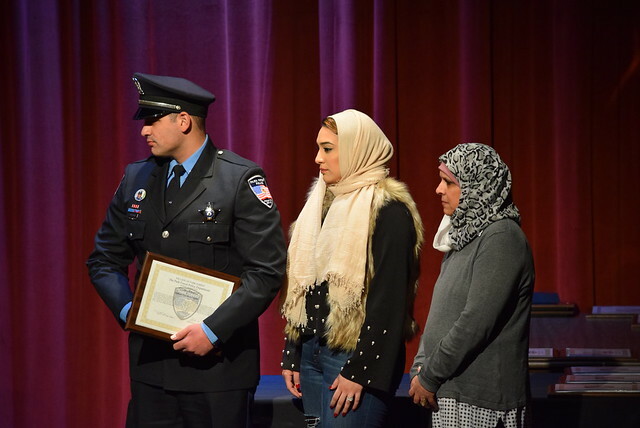 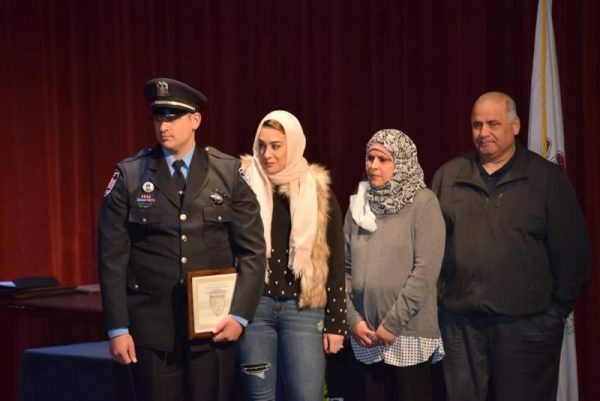 The event reached its apex with the naming of Haytham Elyyan as 2017 Officer of the Year, and concluded with all officers present saluting family members, as well as the public they serve. 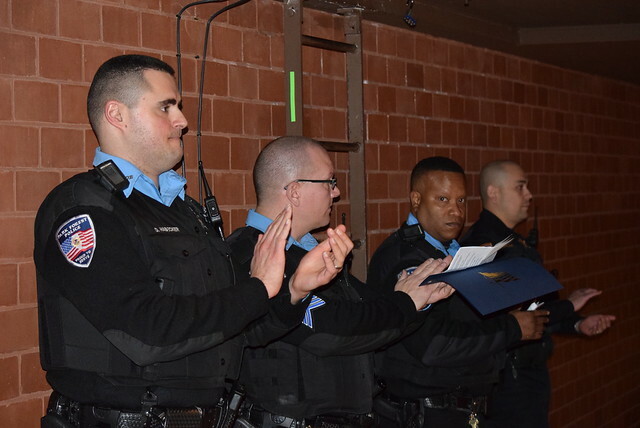 It was an emotion-packed morning, reviewing some of the most difficult challenges officers faced from the year before. 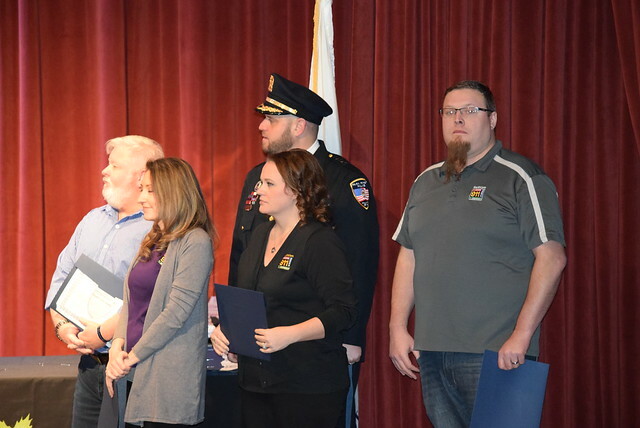 Citizen awards were presented to Ashley Jamison, Gino and Rosalind Best, José Jones, and Amber Schmidt. 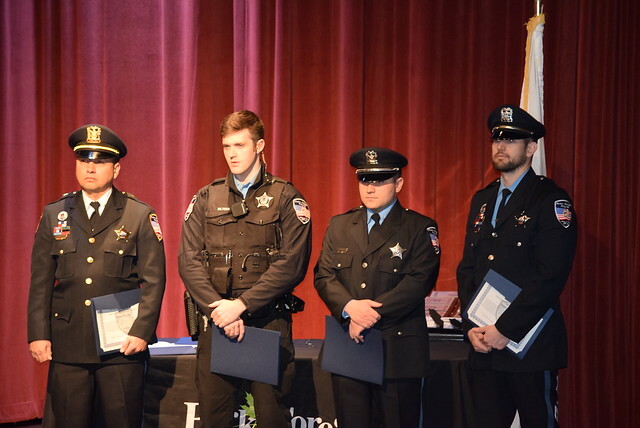 These individuals were instrumental in the apprehension of a criminal, according to the department, and/or other extraordinary action to protect live and/or property. 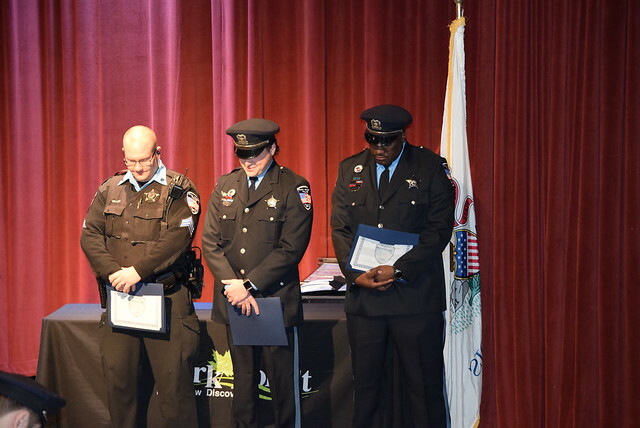 The PFPD gave certificates of appreciation to two organizations: the Crisis Center of South Suburbia, and the Urban Youth Trauma Center. 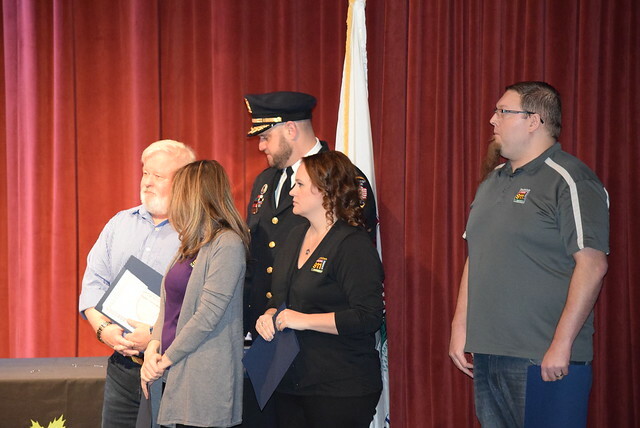 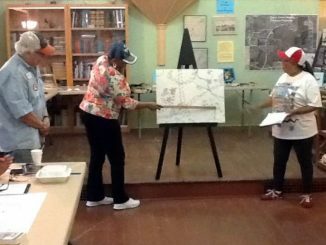 The Crisis Center for South Suburbia (CCSS) was incorporated in 1979 and has been helping families for 38 years find a safe way to understand domestic violence, receive counseling or escape a domestic violence situation, according to its website. 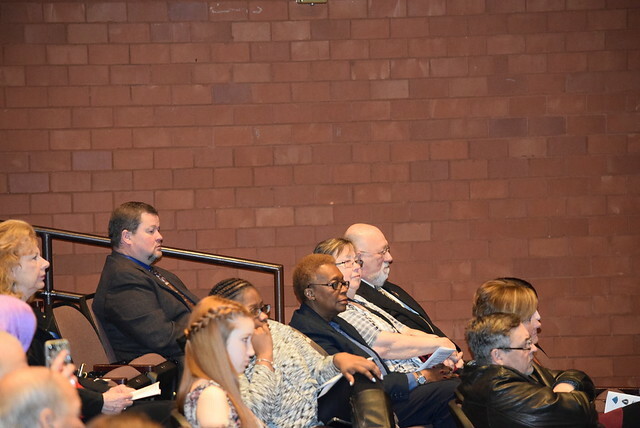 The Urban Youth Trauma Center promotes and disseminate comprehensive, integrated, and coordinated care for multi-problem, high-risk youth affected by trauma and community violence. 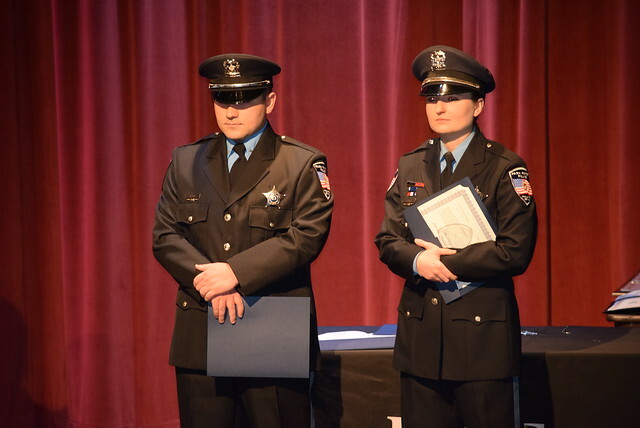 Both were cited for providing support to the Park Forest Police Department or service to the citizens of Park Forest. 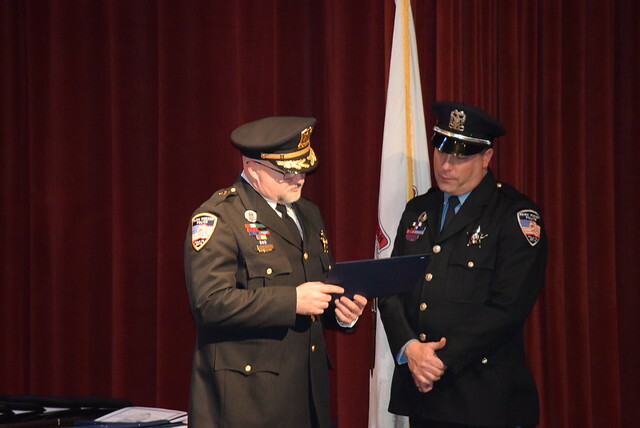 Outstanding Service Awards were presented to Commander Michael Baugh, Detective Alex Bregin (3 awards), Record Clerk Christy Coyle, Sergeant John DeCeault, Officer Haytham Elyyan (2 awards), Officer Charles Karl, Officer James Kessler, Detective Paul Morache, Officer Ryan Purdy (2 awards), Detective Justin Rimovsky (3 awards), Sergeant Kristopher Vallow, and Officer Meghan Vold. 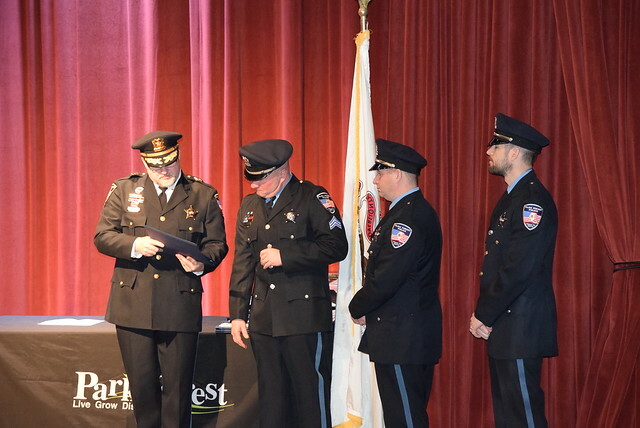 Outstanding Service Awards were presented to the following groups: Detective Sergeant Studer, Detective Paul Morache, and Detective Alex Bregin; Commander Michael Baugh, Commander John Sweitzer, and Officer Karolis Sitkauskas; Sergeant Tellous “T.J.” Boulden (retired) and Southcom Dispatch Center Telecommunicators; Officer Brian Harrison and Officer Jeremy Spirakes; Commander Michael Baugh, Commander John Sweitzer, Officer Haythan Elyyan, Officer Charles Karl, Officer Justin Malachowski, Officer James Kessler, and Officer Craig Taylor; Detective Alex Bregin and Detective JP Garrity; Sergeant Todd Beilke and Officer Christopher Batzel; Commander Lloyd Elliot, Officer Thomas Naughton, Officer Meghan Vold, Officder Christopher Batzel, Officer Karolis Sitkauskas, and Officer Alonzon Hedgepeth; Sergeant Kristopher Vallow, Detective JP Garrity, and Officer Timothy Hoskins; Officer Meghan Vold and Officer Brian King; Sergeant Todd Beilke and Officer Ryan Purdy; Officer Brian Harrison and Officer Charles Karl; and Commander John Sweitzer, Detective Alex Bregin, Officer Sean Biltgen, and Officer Brian King. 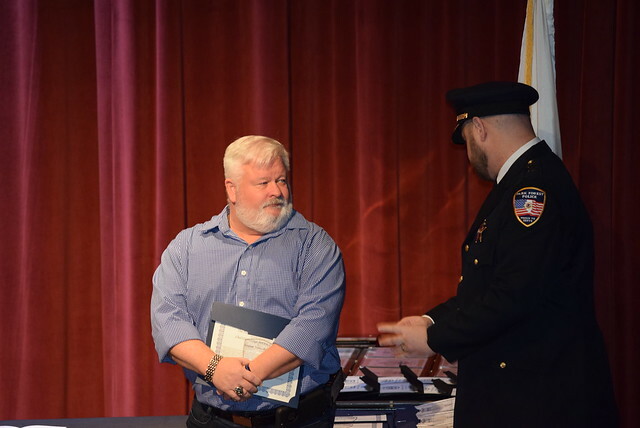 There were also Term Awards, presented “to the most outstanding member during each quarter who has performed in a consistently superior fashion,” the citation reads. 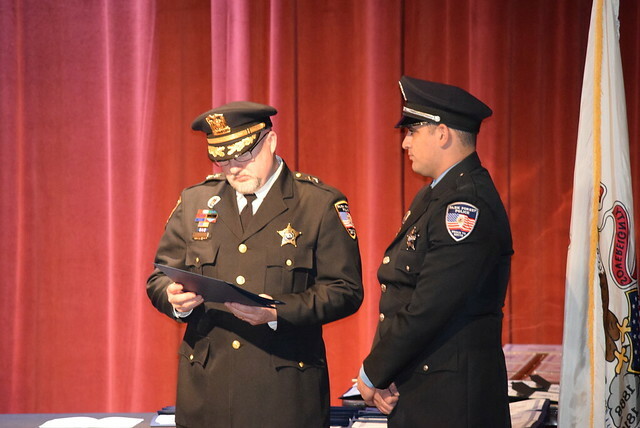 For the first quarter of 2017, the award went to Detective Alex Bregin. 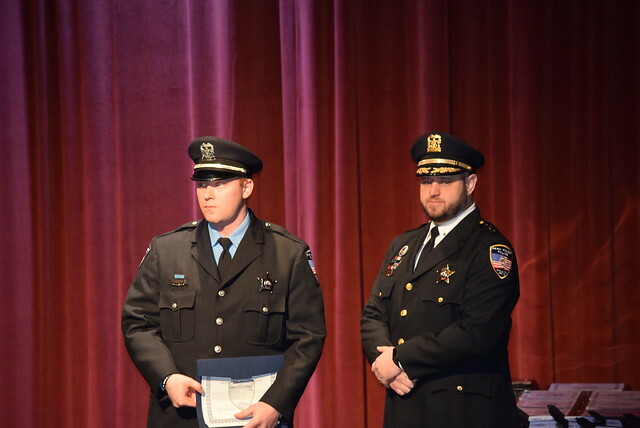 Officer Christopher Batzel was honored for the second quarter, Officer Haytham Elyyan for the third quarter, and Detective Justin Rimovsky was honored for the fourth quarter of 2017. 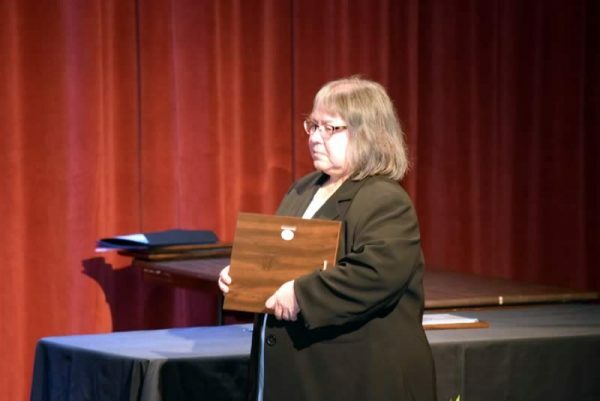 For Records Clerk Yolanda Martinez, 2017 meant the creation of a new award. 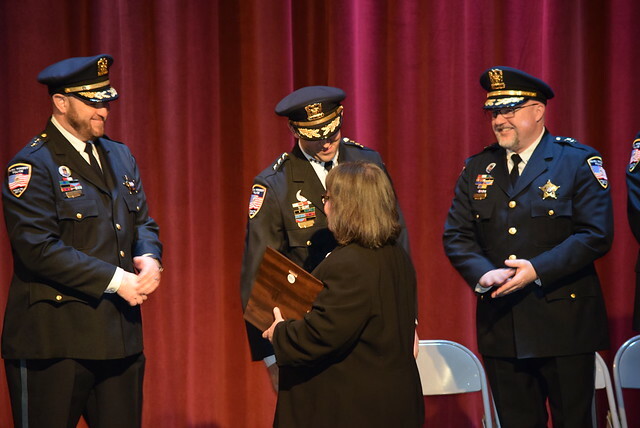 Clerk Martinez was named the inaugural Civilian of the Year. And, as already mentioned, Officer Haytham Elyyan was named 2017 Officer of the Year. 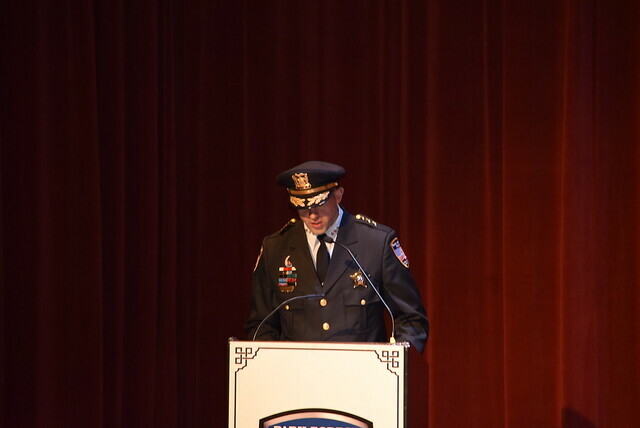 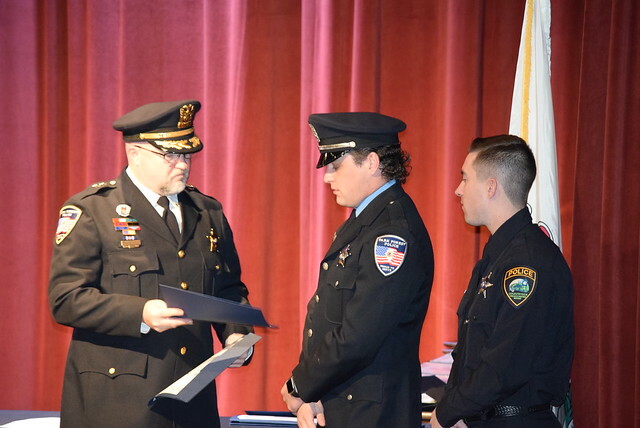 During his remarks concluding the ceremony, Chief Mannino walked the stage, praising family members of officers, and appeared to get a bit choked up with pride as he communicated to his department how much their contributions, day-by-day, mean to the Village and surrounding communities. 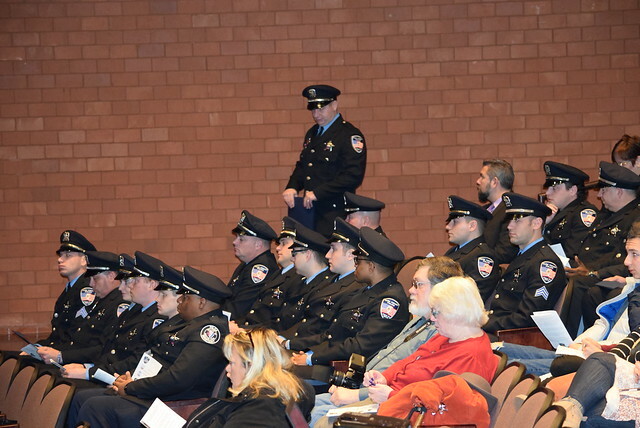 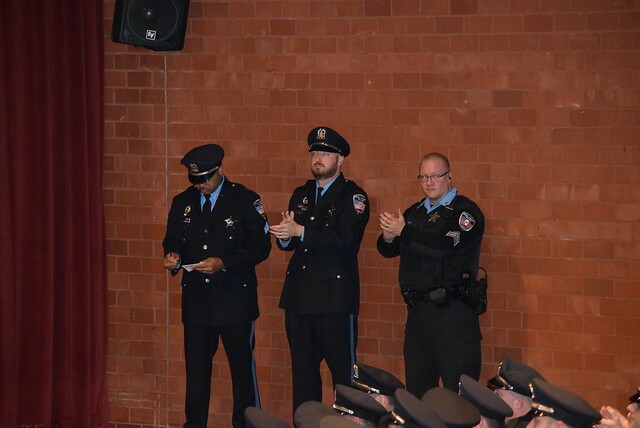 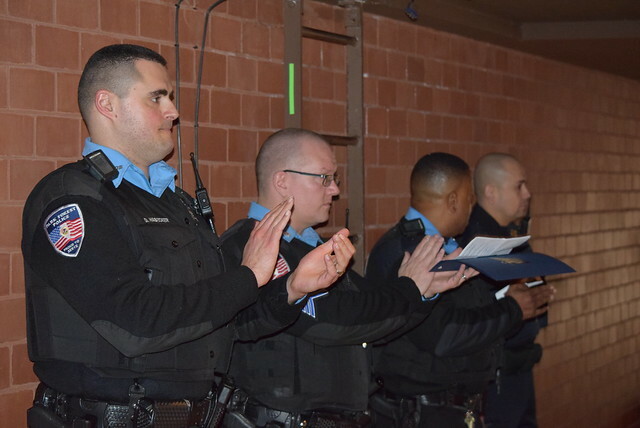 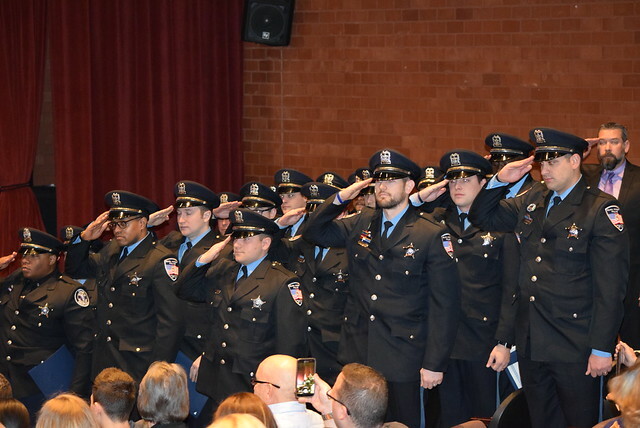 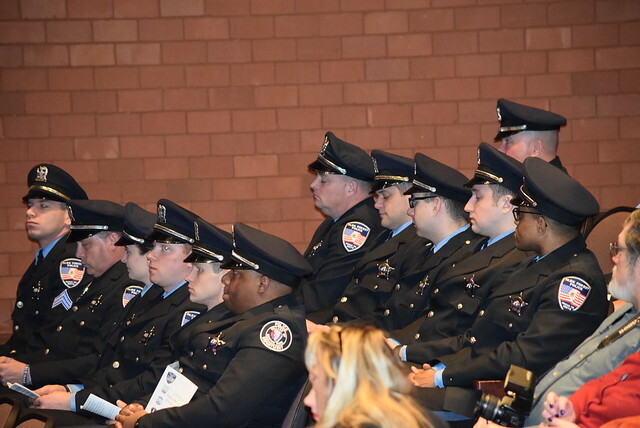 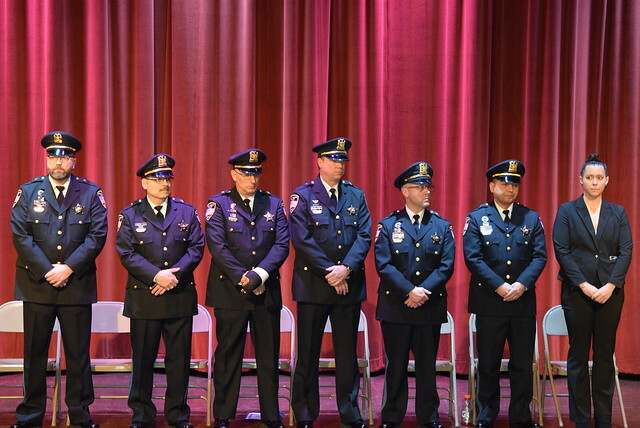 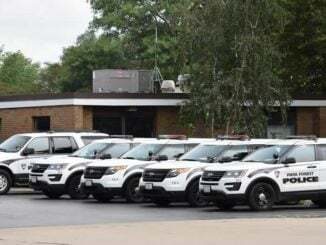 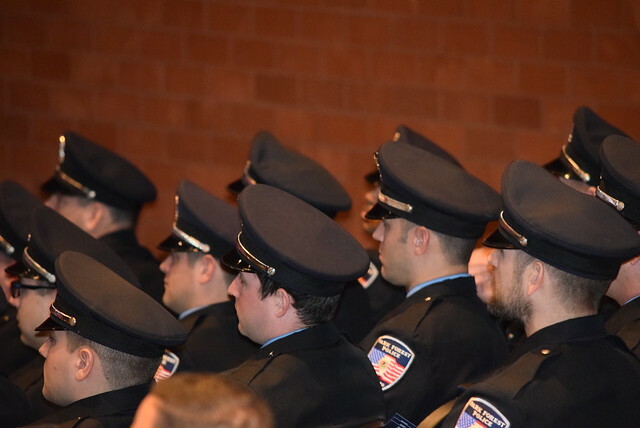 Chief Mannino then called his officers to attention and ordered them to salute their family and friends who were present, as well as a salute to the citizens of Park Forest whom they serve.